Competitions are not the only aspect of HEMA activities, yet nowadays they attract hundreds to modern arenas, where martial athletes fight to honour the European martial legacy in a respectful and regulated environment. There are many systems to choose from, they vary in disciplines based on particular weapons, rule sets, judging infrastructure and in the local atmosphere created by the hosting clubs. Individuals can now fight in various club and event tournaments, leagues and national competitions. Only years ago, competition were largely friendly encounters of enthusiasts exploring the sport side of historical martial arts. Today, the largest competitions take place in large gyms and sport halls, with trained crews of judges, referees, floor managers and administrators taking care of every detail. Carefully planned rule sets keep getting re-evaluated and optimized for a maximum sport experience, equipment standards are focused on protection and efforts are made to have finals streamed live on the internet. Teams and individuals alike pay attention to their training practices and fighting skills. While a number of fighters aim to win titles, there are many who join the competitions only for fun of the game. Regardless of their motifs, every competitor receives a big share of respect within appreciative HEMA communities. Rightly so, as with the effort and time invested into training, dedication and courage mustered, the HEMA athletes also nurture a vision that reaches over political and cultural borders, and display core values that larger HEMA community is based on. 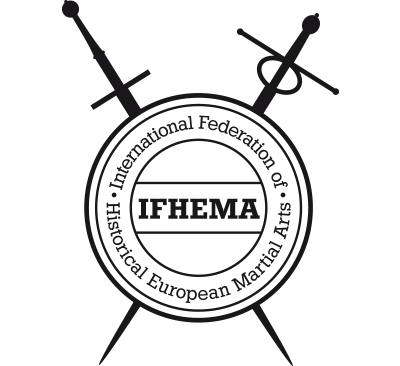 A sense of belonging to this big family of Hemaists and a desire to contribute to the development of the community motivated a group of Hungarian Historical European martial artists returning from the Dijon HEMAC event to plan hosting the first competition within IFHEMA. Very soon, a straightforward proposal was presented, first to the Executive Committee of IFHEMA and later to all delegates at the session of the General Assembly, the highest body of IFHEMA. The plan was put forward in clear terms: the initiators – the Hungarian National HEMA Federation – would provide for the venue, the logistics and the staff, deal with the finances and support, and motivate the IFHEMA community to contribute towards developing a solid rule set and judging panels. The IFHEMA fencers should just register and take part in the Cup. Due to conflicting schedules, the unfolding of the plan was a bit more complicated, as the Hungarian Federation had to make certain assurances to the city council of Hajdúsámson, a small town to host the event. The city council had to grant the use of a sports hall, the sponsors of the event had to be brought in – all this before the General Assembly of IFHEMA even had a chance of granting a formal support to the event! There were lots of nails suffering a bite in Geneva on 6 December 2014 after the Hungarian delegate delivered the project proposal, but the final answer was positive and the team could plunge into the deep waters of organizing the event with IFHEMA backing them up. Tibor Pávay, Chairman of the Hungarian National HEMA Federation, was very active in securing patrons and supporters of the event, among them were mayors of surrounding municipalities. Furthermore, he brought necessary funds to the event and ran the PR activities. Csabán Marika ‘Maci’ proved to be a very successful fundraiser. In addition to substantial pecuniary foundation of the event, she provided valuable help with designing and obtaining prizes (among those an original smallsword and several hundred years old pages from the Nurnberg Chronicles!). Attila Weisz, one of the Vice-Presidents of the Hungarian Federation, was in charge of the fighting ring. He managed a team of 17 judges and kept an open eye on the competition running smoothly and without risks. Várhelyi Zoltán was the event manager. He and his 35 assistants kept the floor ready around the clock. Katalin Kajdiné Virág was on top of the provisions and supervised the cleaning of the venue. The food was catered for all the participants three times a day for the whole duration of the event. Lászlo Fogl ‘Lazsi’ was steering the IT support. His software made sure the score was kept, pools set up and results displayed for the audience to see. Zsófia Jasik made sure each participant was issued with an original Welcome Package, thus upholding the tradition of hospitality among HEMA communities. Orsolya Waldmann designed the logo and all necessary digital art, in addition to managing the event website. Gábor Németh ‘Hekka’ was the delegate who presented the project at the IFHEMA General Assembly. Furthermore, he took care of the participants from abroad and organized transport from the capital. Szabolcs Waldmann, the man who put himself at the end of the list, has been the driving engine of the IFHEMA International Cup from the beginning. The Hungarian HEMA community is grateful for his constant efforts to improve it and to have served as a liaise between the organizing team and IFHEMA. IFHEMA International Cup 2015 hosted three disciplines: Longsword, Single Rapier and the Franco-Belgian Invitational Tournament, supported by the competition for the best team. The list of the disciplines at IFHEMA International Cup has not been chiselled in stone and may change in the years to come. Apart from an original blade and pages of a 500 years old book, protective equipment was offered as prizes, as well as a Regenyei black federsword. Given this was the first time that IFHEMA International Cup took place, not all IFHEMA members sent their teams due to various reasons, mostly because of financial constrictions. Nevertheless, Austria, Poland, Slovenia, Slovakia and Switzerland national teams were joined with the Hungarian team in registering for competition. HEMA communities from Greece, Italy and Mexico are not yet represented in IFHEMA, but had sent their delegations, who were warmly welcomed and made feel like home. The General Assembly of IFHEMA was adamant in having the event open to combatants from IFHEMA and non-IFHEMA communities, if it was to support the Hungarian initiative. Thus, the key IFHEMA values of transparency, good governance, responsibility and striving to contribute to better societies were upheld in a better way. One of the most protruding rubs was the initial proposition of the name of the event – IFHEMA World Cup. IFHEMA as an organization is at an early stage, therefore many felt that the event cannot yet merit the designation of a ‘world cup’. Therefore, the General Assembly of IFHEMA insisted of having the name altered. A new name was chosen, which remained unchallenged and gave the event its unique character – IFHEMA International Cup. Unfortunately, the name change was not well communicated far and wide, which resulted in many global HEMA communities expressing their disagreement with the ‘world cup’ designation for many months later. The lack of proper communication between the organizers and IFHEMA or the general public was evident in other instances, too. However, lessons were learned and the first IFHEMA International Cup recognized and identified room for improvement. A software, coded especially for the occasion, kept the score well and provided the following result list. 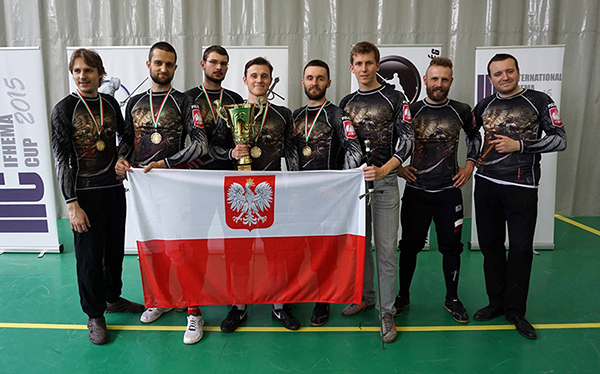 The Polish team won the team competition. After the event, lists of future improvements started taking shape. The organizers, the participants and the world-wide communities contributed their opinions, suggestions and criticism. Improved communication between various parties prior and after the event, improved co-operation with IFHEMA members in the planning phase, suitable rule-sets and venues, and clear guidelines regarding participating teams are at the top of the list. One thing is certain – IFHEMA International Cup will remain open and willing to develop further. The General Assembly of IFHEMA will convene for its session in December 2015, where the 2016 instance of IFHEMA International Cup will be considered. At this moment we cannot say where and when exactly it will be held, but offers for hosting the event have already reached the desks of IFHEMA officials. IFHEMA members will have to acknowledge the legacy of the Hungarian initiative and promote the outcome for the benefit of IFHEMA. IFHEMA International Cup 2015 is the proof of what can be achieved by hope, courage and co-operation. The first IFHEMA International Cup happened – a fact to consider with all due respect and pride. A bald idea conceived on a bus running high on post-HEMA event enthusiasm made its way through idealistic but rational planning and was embraced by IFHEMA communities. A new level of IFHEMA activities was achieved and new possibilities emerged. Hopefully, the organization will be able to acknowledge its potential and will continue to promote and support further initiatives by its members. Furthemore, IFHEMA members and organizers should not forget to turn to many experts outside the organization. There are many communities with vast experience sharing the same passion and striving for the same goals, excelling in performance. Regardless of affiliation, HEMA communities wish the same thing: to develop HEMA further and have lots of fun doing it.